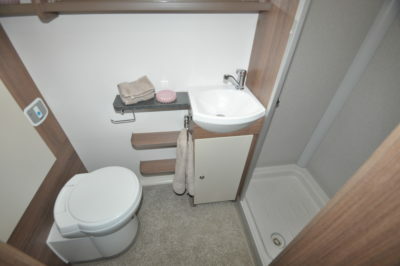 You’ve paid thousands of pounds for your caravan, complete with a fully equipped washroom. 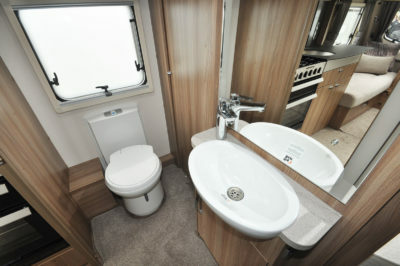 But how much do caravanners use their onboard washing and toilet facilities? 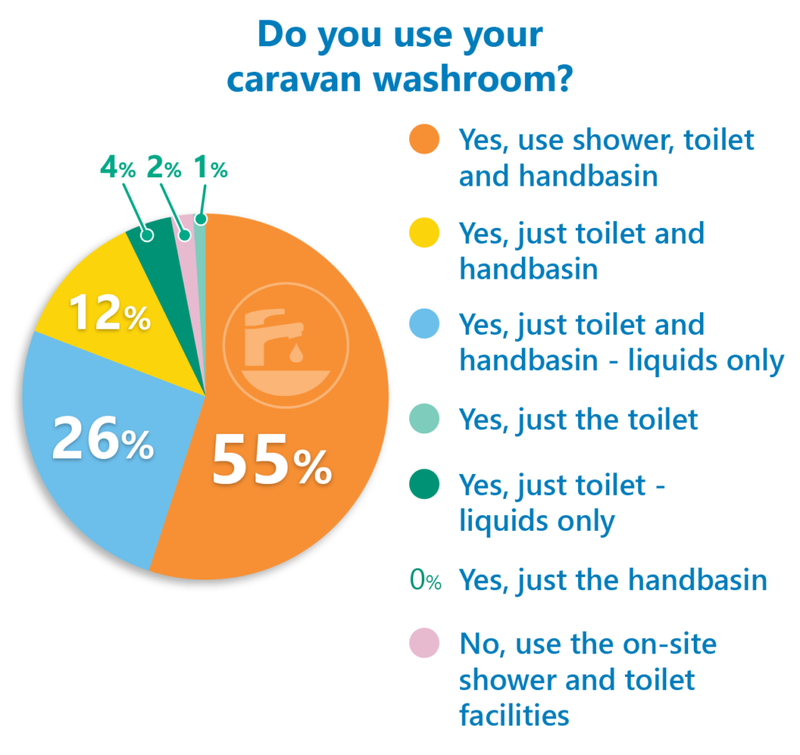 In last month’s community poll, we asked caravanners if they fully used their caravan washroom. They voted in their hundreds and it was great to see so many caravanners taking full advantage of their onboard washroom facilities. 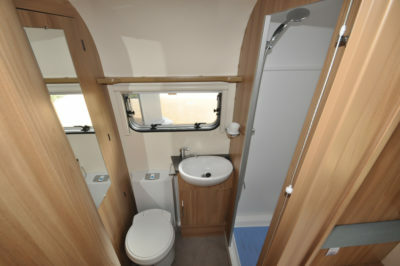 With 664 votes, more than half (55 per cent) told us that they used the shower, toilet and handbasin inside their caravan. To save on wiping down after a shower and to make emptying the toilet cassette that little bit more pleasant, a further 26 per cent said they just used the toilet and handbasin – liquids only! Twelve per cent just used the toilet and handbasin but not the shower. Only two per cent of voters just used the on-site shower and toilet facilities. The votes might be a little bit skewed by the types of campsites you stay at and how you use your caravan. Philip told us that they predominantly stayed at Certificated Locations and loved being all self-contained. John said he had no choice but to use his on-board facilities as they were normally on a rally field without any on-site washroom: “If you’ve paid thousands of pounds for a van then why not use all the caravan,” he commented. Andrew also told us that they used their washroom to its full extent, as they normally only pitched on fields and at festivals where the onsite facilities were sometimes less than basic. Chris Tiller can’t understand why caravanners would want to use site facilities which might not be up to the standard of your own caravan. But Patricia Stebbing said she used the shower as an extra closet! Allan Gilmour said they do use the washroom, but will use the site facilities where possible. What do you make of the results? Let us know by leaving in a comment in the box below. On top of the motorhome cleaning! Apart from the convenience – so many of your respondents mentioned the bonus of NOT having to go out of the van on cold, wet occasions – why would you want to share facilities with many hundreds of other folk? The shower in our Lunar Lexon is lovely. Plenty of hot water, everything to hand, why would we not use it? Site showers can be a mixed bag, some are OK, but often they are either too hot, too cold, nowhere to put your dry clothes and nowhere to sit. and there is often a queue in the morning to use those facilities. We usually wash in the van for the same reason, but the loo does tend to be used mainly at night time to save a walk to the loo block in the cold and dark. We also know our washroom is spotlessly clean, which is more than can be said for some sites!